Good nutrition during the infant and toddler stages is important to ensure healthy brain and physical development in your child. Your child’s body undergoes rapid changes and growth during these stages – at 12 months, infants increase in length by 50 percent! A large portion of the food they eat is thus used to fuel this growth. When they reach about two years of age, they would have grown about 75 percent taller than they were at birth. 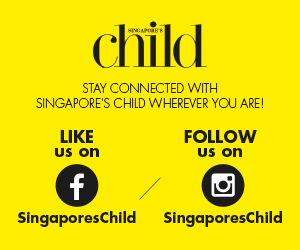 How do you ensure that your child gets all the nutrients he/she needs to grow strong and healthy? Read on to find out how these ingredients can help each aspect of their growth and give their development a nudge in the right direction. When your child is born, the digestive system (spleen and stomach) is weak and requires time to develop and strengthen. In the early months, your child would not have sufficient enzymes to digest food properly, or the right antibodies that fight off pathogens. This is why children are prone to upset stomachs. Chinese Yam (also known as Shan Yao) contains saponins for boosting your baby’s digestive system and resistance to illness. Saponins increase the body’s ability to absorb calcium and silicon, both of which are required for optimum digestion. On its own, Chinese yam also has a mildly sweet taste that can be very comforting for your child. Rich in macro and micronutrients, such as carbohydrates, proteins, vitamins, starch, riboflavin, calcium, phosphorus, iron, vitamin B1, B2, niacin and other trace elements, Euryale seed, also known as fox nut, strengthens the kidney and nourishes the spleen. It works amazingly well when paired with Chinese yam to give children the health boost they need in their important early years. Growing up in a world that prizes competence and mental acuity both in academics and non-academic activities, children need a good head start with proper nutrition to boost their mental performance. In addition to enhancing digestion and appetite, Lotus seed contains iron, protein, magnesium and niacin. Niacin, a form of Vitamin B3, is an essential nutrient for the proper functioning of the brain, as well as improving memory and concentration. It is also involved in converting carbohydrates, fats and protein into energy for cell functions. It is thus important in regulating metabolism and growth. Just like your child’s digestive system, the complex immune system would take some time to develop and be strong enough to fight off infections. Fortunately, your own antibodies, which have been passed down to your little one during pregnancy, stick around for a few months to offer your child the protection needed while the body builds its own defence mechanisms. In addition, your breast milk is also a great source of antibodies. To help children build up their own defences, the food they consume is very important. Poria is widely known as an immune-regulative food as it strengthens physiological activities to improve babies’ spleen and digestive functions to enable better absorption of nutrients for healthy growth, development and disease prevention. Additionally, it helps to calm the nerves, strengthen the stomach and contains indirect antiviral properties as well. As brown rice does not go through the polishing process that white rice does, the aleurone layer is kept intact. Aleurone is a great source of essential fats that help strengthen the cardiovascular and immune systems, build cells, regulate the nervous system and also help the body absorb nutrients. All these processes are very important for a growing baby! Cooking all of these ingredients may seem like a hassle, especially since it takes a long time to prepare them. For example, to speed up the cooking process, you may even need to soak brown rice overnight or grind it into a powder before cooking. To make it easier for you to support your baby’s healthy development, brown rice comes in the form of ready-made cereals or powder with simple, non timing-consuming preparation. 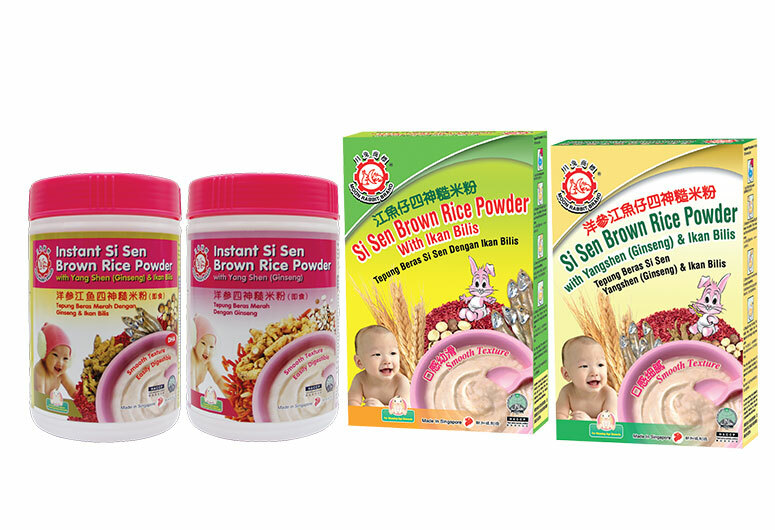 Moon Rabbit’s Si Sen Brown Rice Powder contains the Si Sen formula with four plant-based food ingredients – Chinese yam, euryale seed, lotus seed, and poria – as well as ingredients like ikan bilis (anchovies) and ginseng for added nutrition. This post is brought to you by Moon Rabbit. Impress Your CNY Visitors With These Yummy Treats! 8 Restaurants Where Kids Can Dine For Free!